"A fascinating, if extremely gory and disturbing journey through a hell-hotel built of human misery. 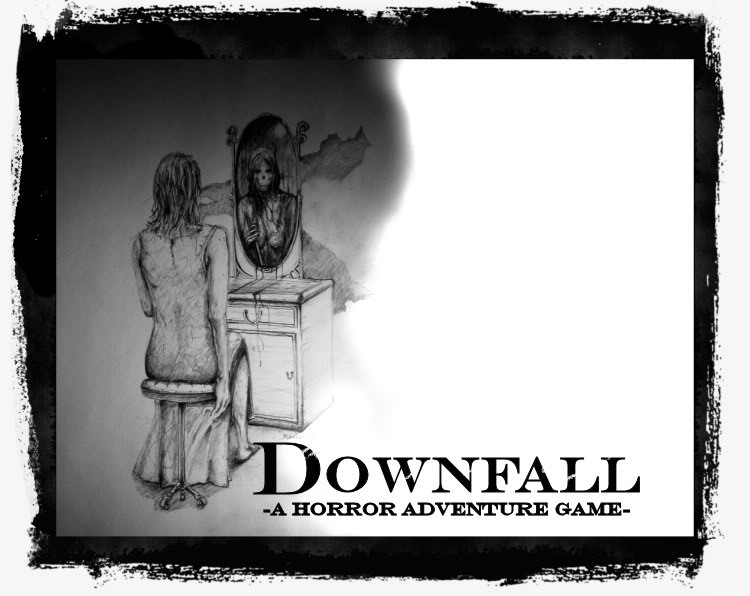 Hand-drawn, Stephen King influenced, huge and sickeningly twisted monster of a game that is not for everybody." Pretty great for the developer's first game, I enjoyed it. If you consider playing it and have the time, just play it. It's free. It's really easily one of the best atmospheres ever in a horror adventure game. I was literally very disturbed by the freakiness of the rooms. There's too much gore for my tastes, but certainly the game seems to have some depth. It's overall recommended as the graphics music effects are top notch. Although it's only a demo, it was long enough to get a good feel for the game. Downfall has a wonderfully creepy atmosphere. The fact that the graphics are mostly shades of black and gray adds to the eerie feeling. The music was odd, but compelling. I didn't understand the story but that may because I was only playing a short demo. My only real problem was the animation - more work needs to be done on it so that it flows more smoothly. The story leaves a real burden on the player's mind - very disturbing. A must for Stephen King's fans and everyone who enjoys uneasy themes in his fiction. 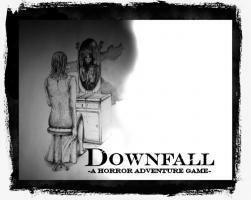 Downfall has great artwork, sounds and atmosphere. Also an interesting storyline and nice logical puzzles. Enjoyed every minute so far.